We are all migrants. Part 3 Fragments from some of the letters. Many letters gave advise to family members, which was very useful while planning a journey. My wife brought along for the trip, a basket with a half a pound of sugar, 15 lemons and half a pound of tea, they will be useful when children will get seasick. Then you will dip the lemon in sugar,… buy yourself 3 bottles of wine. 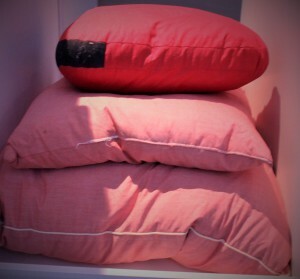 Get yourself and children on the top bunk beds – it is not a pleasure to be vomited on from the upper beds. Buy yourself a tiny toilet (pot)– you will not have to go out with children to the outhouse. Feather quilts, holy paintings, crosses, scapulars, prayer books, women’s woolen scarves, clothes, irons, knives, silverware, double-barreled shotguns, clocks, Turkish vodka, and tobacco, Hofmann`s painkiller drops, fruit and vegetable seeds, and children’s` books. In terms of life in New York City, it is the same as at home. We are all migrants. Part 2 Preparations for the journey. Besides copies of some of the letters, the exhibit also featured household and religious items, as well as documentation describing the necessities needed for the emigration process. The displays allowed us to take a glimpse into the past, and learn what life was like at the end of the 19th Century in Poland. We can now better understand what families had to endure in hopes of finding a better future in another world. At the end of the 19th century, agents of transatlantic ship companies were traveling to European villages to recruit potential emigrants. 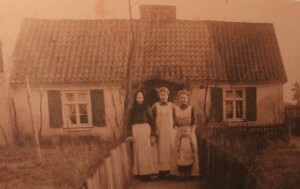 If interested, villagers would notify the agent of their desire to emigrate, and for a small fee the agent would contact the shipping offices in Bremen, Hamburg, or other European port of departure, and obtain notification of a ship’s departure date, timetable for the train trip to get there, and a boarding ticket for the steamship, known as a schiffskarte. 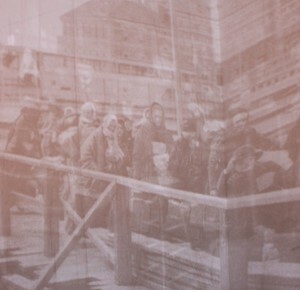 Sometimes family and friends who had already made the journey to the U.S. sent back boarding tickets, as well as money to cover the cost of getting to the ship, and instructions on how to get to their final destination. These peasants, who were often illiterate, started their journeys from villages many of them had never left before, and went through places where the language and currency changed. Along the way they encountered additional hardships, such as dishonest middlemen, which required either cleverness, or the payment of bribes to get them and their families across the Prussian border. Health inspections were also required at the border, a process disliked by emigrants because they felt treated like cattle. Additionally, women travelling to be reunited with their husbands often brought with them a lot of children, which they had to watch over and take care of during the journey. People often walked, or rode on wagons to get to Berlin, and then took trains to get to the port cities in Germany. When emigrants produced the voucher at rail stations, train crews knew the routes and sent them to the right connections. A special emigrant train transported them either directly to the port city, or Berlin-Ruhleben, where agents of the shipping companies helped them change trains. Once in the port town, they still had to wait a couple of days before boarding the ship, so as the wave of emigrants grew larger, and larger, shipping companies built housing for them to stay in, and provided small meals until it was time for the long journey across the ocean. This lasted another two weeks to get to the U.S. and up to two months to get to Brazil. Friedrich Missler was the founder of a German travel agency that specialized in passage for emigrants to the United States from Poland and the Slavic countries. By the 1880s, agents in the U.S. were selling thousands of pre-paid tickets to immigrants for passage to send back to relatives in Europe. They made arrangements with the shipping company to send the tickets, along with instructions to the recipients. The recipients would then deal with a local agent to arrange their journey to the port of embarkation. Emigration became big business for railroads and inland navigation in both Europe and North America. A boarding ticket for the steamship, known as a schiffskarte, which was paid for in advance in America to cross the sea from Bremen to Baltimore. This ticket needed to be presented at the Prussian boarder to allow crossing. 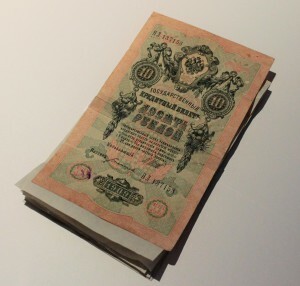 Additionally, the emigrant had to have a piece of paper, which was a confirmation of payment for the trip by relatives in America. This piece of paper had to be carried with them at all times; otherwise the schiffskarte would not be valid. 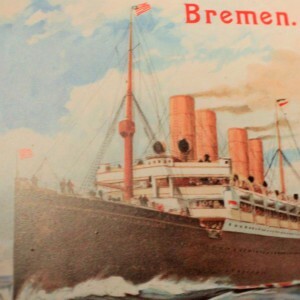 Two days before departure they needed to arrive in Bremen, and at the train station, they had to show an address card to get the three days of lodging and food until the departure of their ship. It was recommended to take the following items: passport, certified birth record, and military service book. The cost of a ticket was 42 rubles for an adult, 21 rubles per child, and 6 zlotys for an infant. We are all migrants. 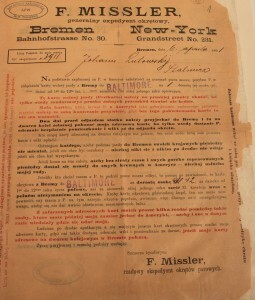 Part 1 Letters from Polish emigrants in America. This post is based on the exhibit called “We are all migrants. 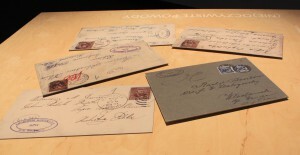 Letters from Polish emigrants in America from the end of the 19th century, ” that ran from September 24th to October 27th, 2016 at the Poznan Culture Center Castle. It was organized by Natalia Bloch and Wojciech Luchowski, and partnered with the Warsaw State Archive, Ethnographical museum in Torun, Institute of Ethnology and Cultural Anthropology of Poznan University, and the Migration Research Center. The exhibit showcased letters written in 1890-1891 by Polish born citizens who immigrated to North and South America from Russian-Poland. They were meant for families living in Golub, Dobrzyn, Rypin, and Lipno counties, but were intercepted and censored on command of the Tsar, and never reached their intended addressees. Forgotten for 50 years, thousands of these letters were discovered by accident by historian Witold Kula in 1941, stored in boxes in the basement of the Archives of Historical Records in Warsaw. During WWII he participated in secret teachings, and his students analyzed, decrypted, and translated these letters, which were mostly written by illiterate peasants. Unfortunately, most of them were lost to fire during the Warsaw Uprising, but 367 survived. 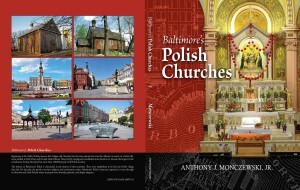 Poles were one of the first nations that immigrated to both North and South America. 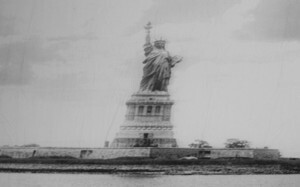 From the mid-19th Century, until WWI, it is estimated that 2.5 million people from partitioned Poland immigrated to the United States, and another 100,000 to Brazil. In fact, around the year 1900 Chicago was one of the biggest Polish populated cities in the world, next to Warsaw and Lodz. There were many different reasons behind this mass migration, the majority of which resulted from economic crises in the countryside; obligatory long-term service in the Russian Army; rising antisemitism; and overpopulation, which lead to further social and economic impoverishment. Other reasons included escaping from debts, spinsterhood, and domestic violence. Poverty was the main reason people chose to leave. 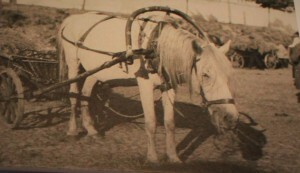 With the drop in prices of grain in the European markets, their farms were too small to make a living and feed their numerous children, and families were in danger of becoming indentured servants. 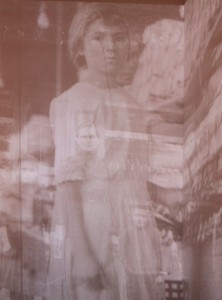 The emigrants were attracted by dreams of a better life, which were fueled by news from those who left before them. The United States, in the beginning of an industrialization growth, absorbed the workers, who in turn helped build the nation’s power; Brazil, on the other hand, had recently abolished slavery and needed new workers for farming. Pączki – Just how do you pronounce those jelly-filled doughnuts? It is an old Polish tradition to eat pączki on Tłusty Czwartek (Fat Thursday), which is the last Thursday before Ash Wednesday. 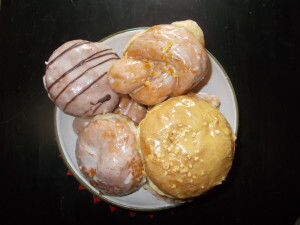 In America “Pączki Day” is celebrated five days later, on Tuesday. They have been made in Poland since at least the Middle Ages in order to use up all the lard, sugar, eggs, and fruit in the home before Lent started. Afterwards, these foods were not allowed to be eaten as part of the Catholic Church’s fasting requirements until the celebration of Easter. Anybody who was on a trip with us and would like to write a story is most welcome to send it to us to publish it ! Everyones experiances are unique!